Prior to forming the Mountain Real Estate Company, Susan was with Sunday River Resort for 13 years. She was first the Director of Communications, which entailed all media relations, snow reporting and serving as resort spokesperson. In 2005 she moved to Sunday River Real Estate. During the eight years at Sunday River Real Estate, Susan was a Top Producer for the office nearly every year and was also many times the Top Producer for the Sunday River area. Since opening in October 2013 she has been the Top Producer in Oxford County. She has sold the majority of the 25 Tempest Ridge townhomes that have been sold to date, and has sold numerous other slopeside condos at Locke Mountain, Brookside, Cascades, Sunrise, Fall Line, Merrill Brook and White Cap. 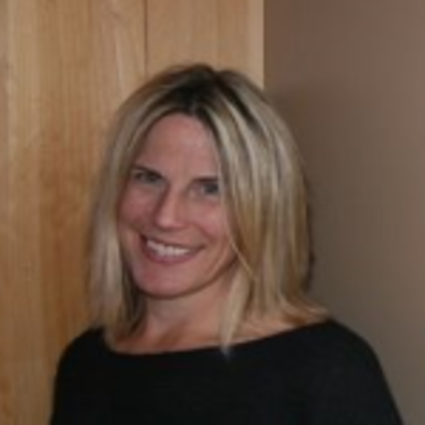 Susan has also sold many homes in Powder Ridge, The Peaks, Mahoosuc Glen and The Colony. She has also sold land in each of these developments as well as in Greenwood on South Pond Shores. Susan’s philosophy is simple: focus on genuine service to clients first and foremost and the rest will follow. She enjoys continued relationships with her existing clients and of course meeting and servicing new clients. A native Vermonter, Susan began skiing at age 2. She began her second passion, golf, when she moved to Bethel 14 years ago. She feels both skiing and golf are the best family sports because they may be enjoyed together for years to come. She still enjoys both sports with her own mother and father and other family members. She splits her time on the golf course at Sunday River Golf Club and the Bethel Inn and Country Club as well as various others courses in Maine, Vermont and Massachusetts.